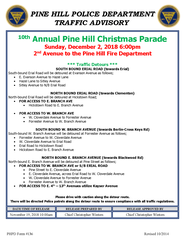 10th ANNUAL PINE HILL CHRISTMAS PARADE IS ON! Please drive with caution along the detour route. 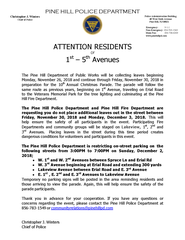 There will be directed Police patrols along the detour route to ensure compliance with all traffic regulations.